At least three different artists share the name Saints & Sinners: 1. A short-lived melodic hard rock band 2. A trance-techno dj/producers J&ouml;rg Querner & Wilfried Belz; 3. Oi! punk band. 1. Saints & Sinners were a short-lived melodic hard rock band formed in 1991 from the ashes of heavy metal band Sword. Ex-Sword members Rick Hughes (vocals) and Jeff Salem (drums) recruited Stephane Dufour (guitar), Martin Balduc (bass) and former Aldo Nova, Night Ranger and UFO keyboardist Jesse Bradman to form the group. Aldo Nova performed on and produced their debut album Saints & Sinners (1992). 1. 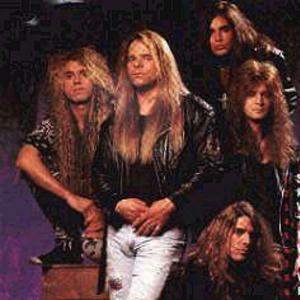 Saints & Sinners were a short-lived melodic hard rock band formed in 1991 from the ashes of heavy metal band Sword. Ex-Sword members Rick Hughes (vocals) and Jeff Salem (drums) recruited Stephane Dufour (guitar), Martin Balduc (bass) and former Aldo Nova, Night Ranger and UFO keyboardist Jesse Bradman to form the group. Aldo Nova performed on and produced their debut album Saints & Sinners (1992). Being on an independent label and the influx of grunge music into the mainstream led to Saints & Sinners being severely overlooked. The band toured for the release and broke up shortly after in 1993. Bradman would later form Jesse's Powertrip with former members of Aldo Nova, Bad English and Guiffria. 2. Saints & Sinners is the recording name for trance-techno dj/producers J&ouml;rg Querner & Wilfried Belz. J&ouml;rg Querner records under the aliases Dove Beat, Van Bellen, Yoogie and Yoogie Van Bellen.